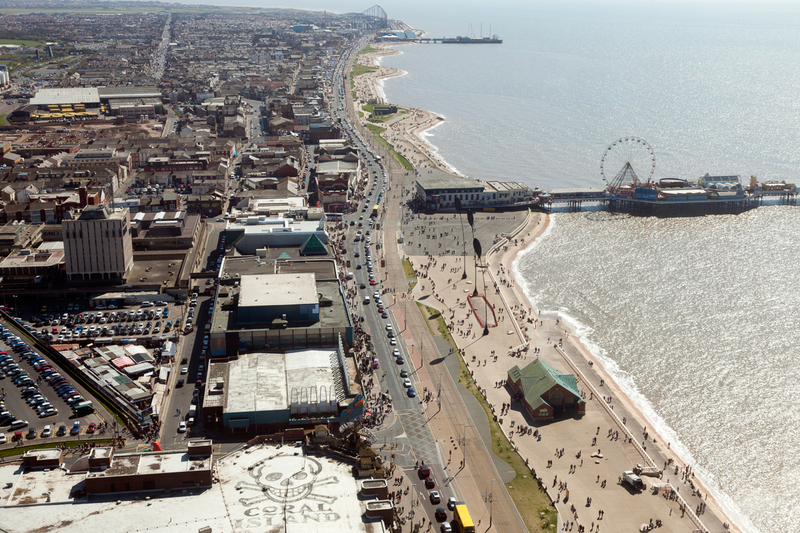 Are you looking for truly breathtaking views of Blackpool and the Fylde coastline? Unless you want to splash the cash on a helicopter, I recommend you pay a visit to the magnificent Blackpool Tower Eye and experience it’s solid-glass SkyWalk. Yes, you may have to overcome the dizzying 300ft drop below, but believe me it’s more than worth the entry fee. If you can’t stand heights, but still want to see the view, let me share with you these aerial photographs of Blackpool that I took from Blackpool Tower Eye. The Comedy Carpet by artist Gordon Young and Why Not Associates is a celebration of comedy on a truly extraordinary scale. 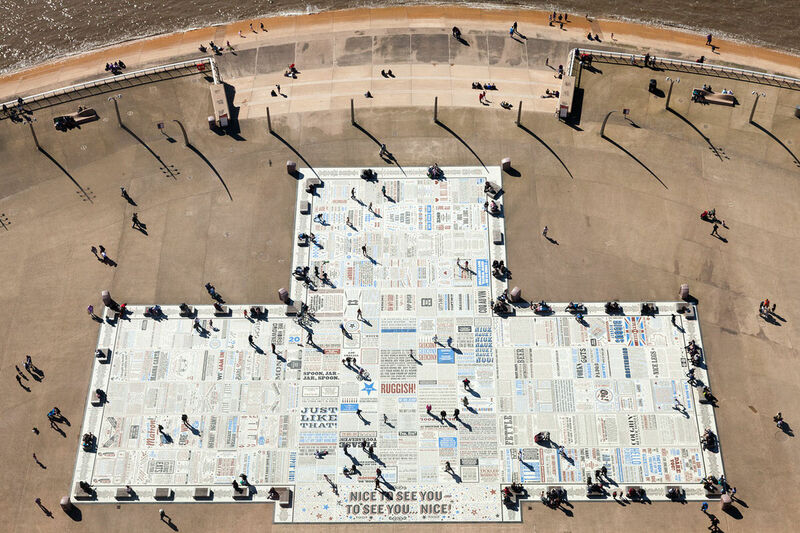 Sited in front of Blackpool Tower, this 2,200m2 public artwork contains over 160,000 granite letters embedded into concrete featuring songs, jokes and catchphrases of over 1000 comedians. 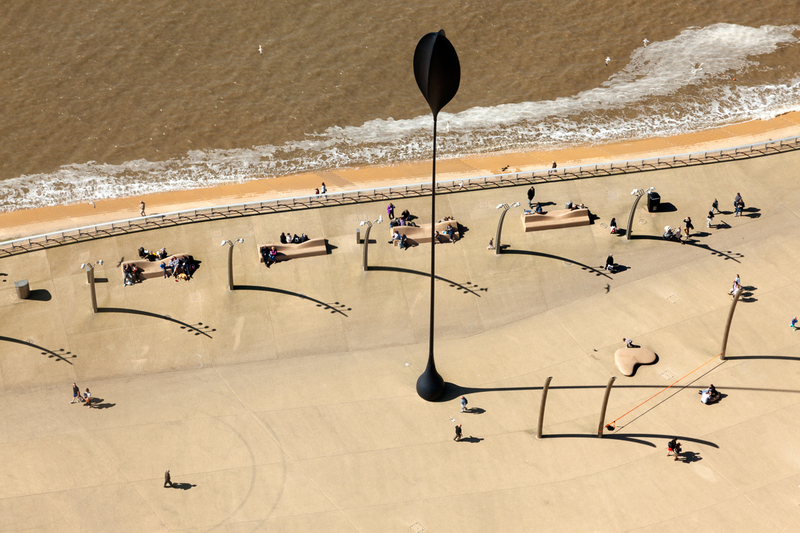 The Dune Grasses on Blackpool promenade was designed by London based creative agency FreeState and are the world’s largest kinetic sculptures. Constructed from glass-fibre and standing as tall as a ten-storey building, with heads the size of a transit van, the design presents five giant blades of grass blowing in the wind. 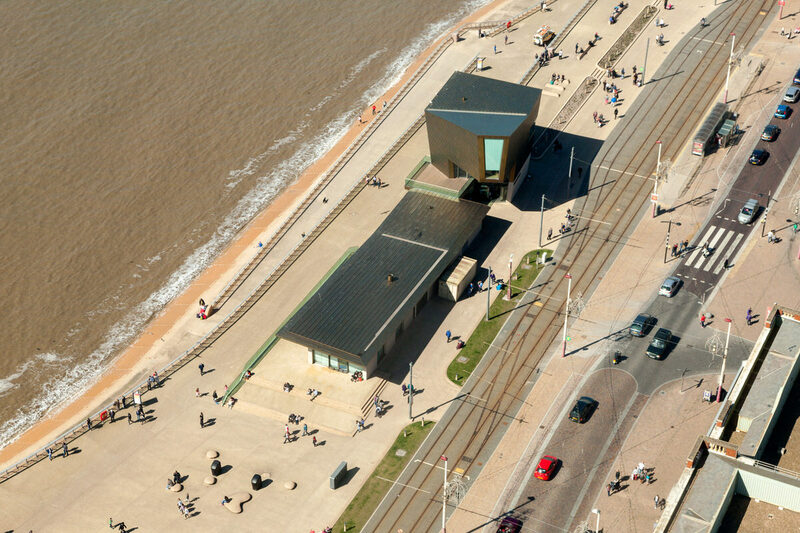 Festival House, designed by architects de Rijke Marsh Morgan, was described by Rowan Moore in The Observer newspaper as “one of the gems of Blackpool’s regeneration”. If you’re looking for a wedding venue or just a place where you can enjoy a drink with an amazing sea view, Festival House is a great place to visit. 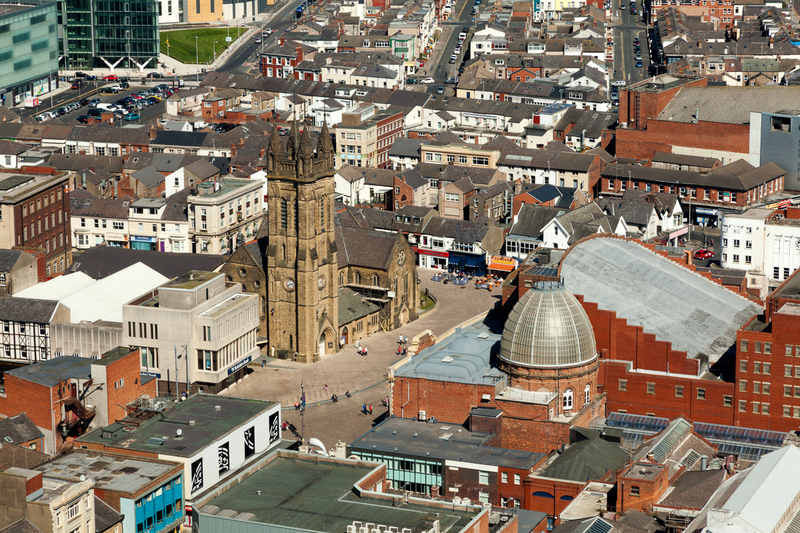 St Johns Square is located in the heart of Blackpool town centre. Here is where you’ll find iconic venues like the Winter Gardens, the Grade II listed St John’s Church and landmark sculptures such as The Wave by Lucy Glendinning. You can see North Pier, Blackpool Cenotaph and Grand Metropole Hotel all in one fantastic view from the Blackpool Tower Eye. If you look closely you can even spot the old open air swimming baths at the centre top of the photograph. You’ve heard of The Golden Mile right? It’s an infamous stretch of Promenade between the North and South piers in Blackpool and is one of my favourite places to shoot photography. If you’re looking for some seaside nostalgia, The Golden Mile is a good place to start. You’ll find plenty of things to keep you entertained including Louis Tussaud’s Waxworks, Sea Life Centre, Coral Island and much more besides. There you have it. 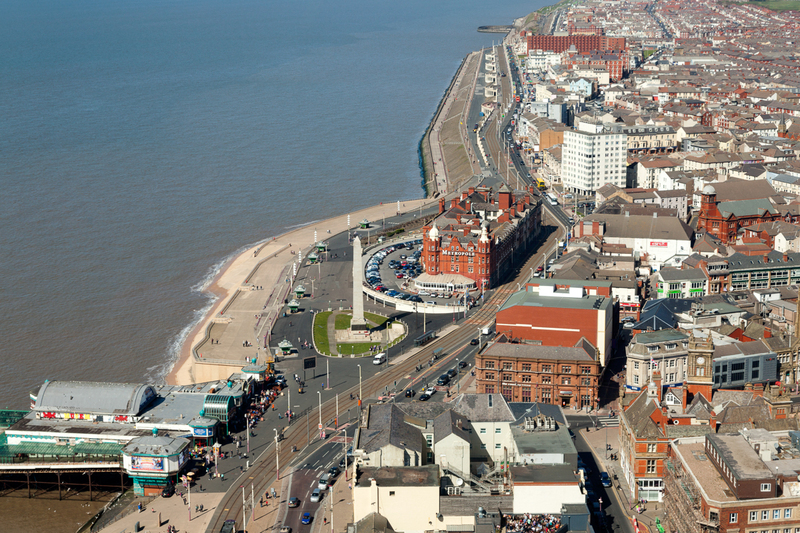 I hope you’ve enjoyed these aerial photographs of Blackpool. If you like what you see please support my photography and tell you friends about it. You’ll find social buttons below and I’d be delighted if you could take a minute to share your favourite photographs from this post. As always, if you have any questions or comments please leave them below. This entry was posted in Blackpool and tagged Aerial Photographs of Blackpool, Blackpool, Blackpool Attractions, Blackpool Tower Eye, The Golden Mile, Things To Do In Blackpool.